There's a mobile browser war going on, and HTML5, despite being years away from full implementation, is playing an increasingly large role in mobile browsing and its future. But how? What role does it play? Which browser supports HTML5 the best? What capabilities can we expect from HTML5 browsing down the road? What will the mobile browser of the future look like and how will HTML5 help create a better browsing experience? 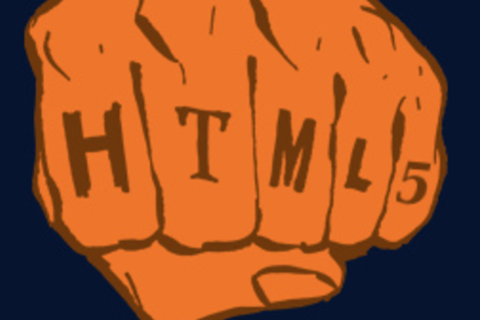 And where do HTML5 apps come in? This panel, moderated by CNET's Seth Rosenblatt will feature executives from top mobile browsers including Opera, Mozilla and Dolphin Browser. We’ll have own own little “browser war” on-stage, as the panelists will debate for their lives (ok, maybe just their pride) to prove why their browser will best the rest. David Dehghan is the Chief Software Architect for Dolphin Browser where he oversees the technical direction of the browser and technical partnerships. Dolphin Browser has over 50 million installs and leads in HTML5 standards support and performance benchmark tests. Prior to joining the Dolphin team David was founder of Software Innovation Lab, which built the technology that powers Bing Rewards at Microsoft. Before venturing into entrepreneurship David was an engineering manager at Microsoft and worked on Windows, Office and Windows Mobile. He lived in China for 3 years and lead market research, design and production of Microsoft Fone+, an ultra low-cost emerging market computing platform based on Windows Mobile. He speaks 4 human languages and at least 5 or 6 computer ones. Jay Sullivan is Vice President of Products at Mozilla where he drives product strategy and leads the product management, user experience, user research, metrics and customer support teams. Jay also leads the Firefox OS program. Jay joined Mozilla in 2007. Previously, Jay was co-founder and VP of Products at PocketThis, a mobile software applications and tools provider. He has also held management and software engineering positions at Oracle, Information Resources and Firefly Network. Jay has been granted three U.S. patents for his work on mobile software and personalization. Jay is a graduate of Yale University. Whitespace strategist at Opera Software. Seth Rosenblatt is a senior editor at CNET, and has written about nearly every category of software and app available. At CNET since 2006, he currently focuses on browsers, security, and operating systems, with forays into the hectic intersection of tech and pop culture.